Independent Bookstore Day 2019 is a little over three weeks away and, according to program director Samantha Schoech, the annual celebration of indie bookstores is set to be bigger than ever. There are 580 stores are participating this year, up 14% from 507 stores in 2018. Indie Bookstore Day has printed 6,000 IBD bags designed by Jane Mount of Ideal Bookshelf, which is up from 1,300 bags last year. There are 20 exclusive items for IBD and four free items, and Ingram will be shipping out around 102,350 total items to bookstores in 49 states. And Tayari Jones, author of An American Marriage, Leaving Atlanta and more, is this year's author ambassador. Indie bookstores in Seattle, Wash., introduced the original IBD passport event back in 2015, and this year they're once again issuing the Seattle Independent Bookstore Day Passport Challenge. Readers who get their passports stamped at every participating store will be crowned as Grand Champions, and receive a 25% off discount at all participating stores for the next year. In the program's first year, they crowned 42 Grand Champions. By 2018, the number of Grand Champions rose to nearly 500. In Northern California, book lovers have from April 1 until Indie Bookstore Day to visit as many participating bookstores as possible and get their passports signed. When customers turn in their passports on April 27, they will be entered to win a variety of prizes depending on how many stores they were able to visit. More than two dozen indie bookstores in the greater Chicago, Ill., area will be participating in the third annual #ChiLoveBooks Challenge, a bookstore crawl encouraging readers to visit 10 or more stores on a single day. Readers can pick up their passport and first stamp with a purchase of $25 or more at any one of the 28 participating store. Those who visit 10 stores will receive 10% off at all participating bookstores for an entire year, while those who visit 15 in one day will get 15% off. 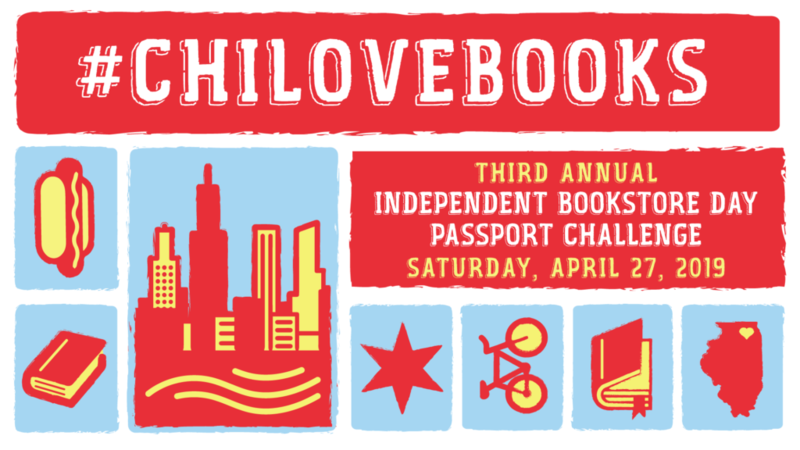 The passport challenge is being sponsored by the Chicagoland Independent Bookstore Alliance and the Great Lakes Independent Booksellers Association. In San Diego, Calif., indies are partnering for the third annual San Diego Bookstore Crawl. Local author and illustrator Susie Ghahremani is this year's Book Crawl ambassador and designed this year's exclusive Book Crawl tote, as well as a limited-edition enamel pin. 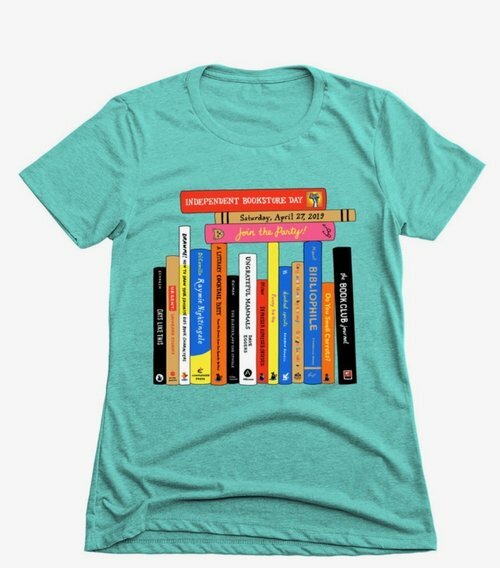 Nine bookstores are participating: UC San Diego Bookstore, Warwick's, Mysterious Galaxy, La Playa Books, Bluestocking Books, Verbatim Books, The Book Catapult, Run for Cover and the Library Shop. Fifteen independent bookstores in Rhode Island are also getting in on the IBD passport action. Readers can pick up a Rhode Island Independent Bookstore Day passport at any one of the participating stores with no purchase required, and anyone who visits 14 out of the 15 stores will receive a coupon from each of the participating stores and be entered into a drawing for the grand prize, a $25 gift certificate to each of the 15 stores. In Boston, Mass., Metro Boston Bookstore Day is chartering two trolley-style buses for tours of seven local indie bookstores. Tours will begin at 10 a.m and end at 2 p.m., and book buyers can choose between two routes. Route A will begin at Porter Square Books and visit BookEnds Winchester, Belmont Books, Harvard Book Store, Trident Booksellers & Cafe, I AM Books and MIT Press Bookstore. Route B will begin at Brookline Booksmith and visit The Children's Book Shop, Newtonville Books, New England Mobile Book Fair, Wellesley Books, Blue Bunny Books & Toys and Papercuts JP. Nineteen Minnesota bookstores are teaming up once more with the literary nonprofit Rain Taxi for the Twin Cities Independent Bookstore Day Passport. The passports are full of coupons and illustrated by local artist Kevin Cannon. Shoppers can pick up their passports for free and get them stamped at participating stores. Getting five or more stamps activates the passport coupons, which are good until October, and getting even more stamps allows shoppers to be entered into prize drawings.